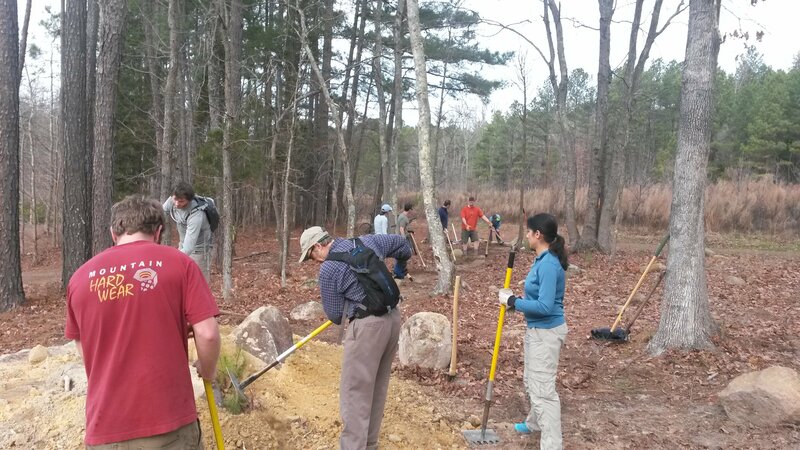 Volunteer Trail Workday at Briar Chapel: Couldn’t have asked for more! 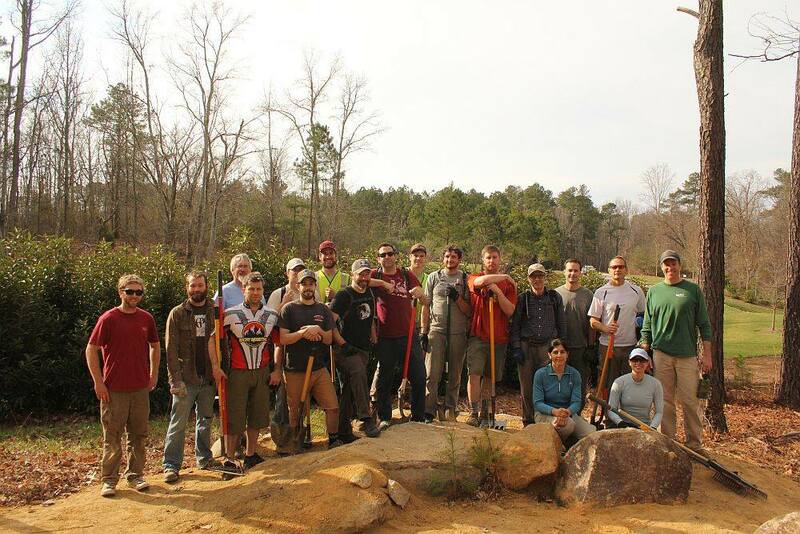 The trail workday at Briar Chapel this past Saturday 12/21/2013 couldn’t have gone better! 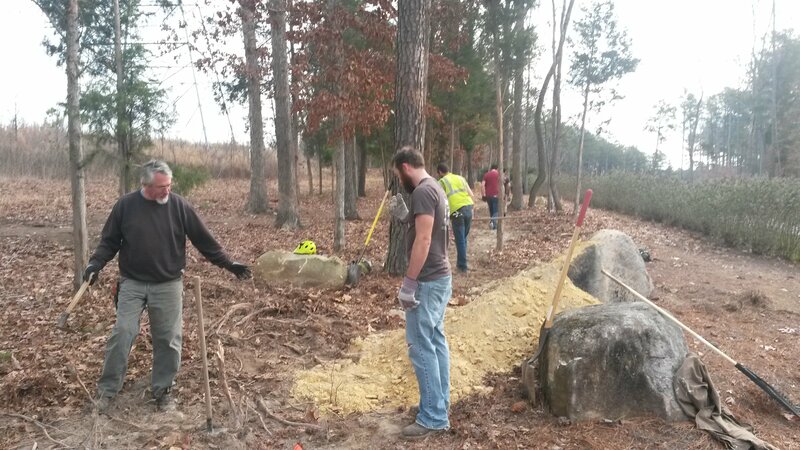 We were fortunate to have two trail building companies come out and volunteer their time to finish up the most recent additions to the Briar Chapel trail system. 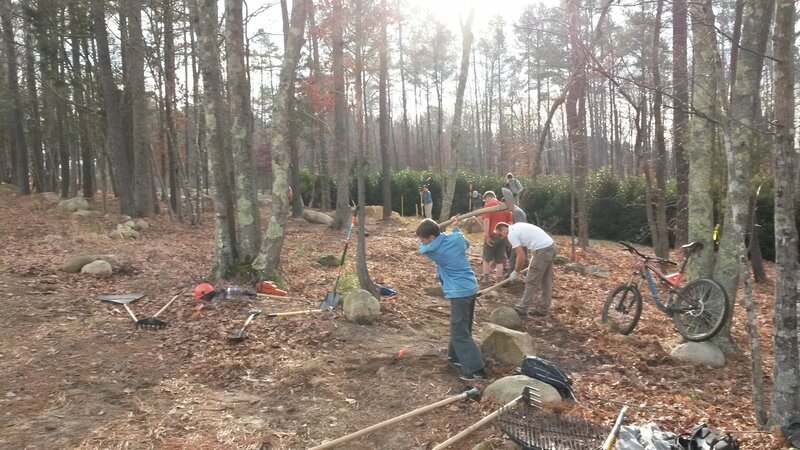 A huge “thank you” goes out to Elevated Trail Designs for their initiative (laying out and preparing the section we worked on), Stewart from Native Trails and all the fellow mountain biker volunteers for their time and effort and Briar Chapel for making this possible!!! Post workday food was provided by Briar Chapel and everybody enjoyed awesome brews from Crank Arm Brewing! The new sections of trail are not yet open for riding. Hopefully with decent weather in the coming days we will be able to open them for everybody to enjoy. Stay tuned!